Having a pool at home is something many people only dream of. It means you no longer have to go to public swimming pools, which can be very gross. If you are one of those people who like some privacy when swimming, having a pool at home also enables you to have this. However, owning a pool comes with several responsibilities as well. Your pool is a big investment and you want to be sure that it will remain in good condition for the longest time possible. This is why you need to make sure that it is always in good condition by cleaning it often, replacing the water often, and ensuring that the chemicals are well balanced, among other things. There is a lot more that goes into taking care of your pool besides keeping it clean. You need to have a pool cover to keep out dirt and debris, and also prevent any funny or nasty accidents of people falling into the pool. It is also important to have a fence around your pool for a number of reasons. This article highlights some of them. This is rather obvious. It is important to keep your pool area enclosed in a fence so as to prevent any accidents, some of which can be very fatal. This is especially important if you have kids or pets. You will also be able to ensure that your kids cannot access the pool without an adult to let them in and monitor them as they play in the pool. This will give you peace of mind as chances of injuries and other accidents around your pool will be greatly minimized. Your neighbor’s kids might be tempted by the allure of the blue sparkling water in the sweltering summer heat. 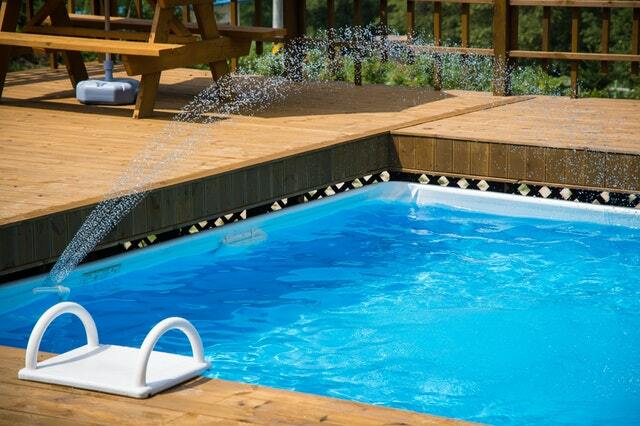 Without a pool fence, you might have to deal with people trespassing on your property to swim in your pool. However, with a fence, even if those naughty kids are able to access your compound, they will not be able to access the pool. This will help you ensure that no one other than your family and guests have access to the pool. When choosing a pool fence, you should go for one that complements your current landscaping design. There are several materials and designs to choose from, and when you choose one that goes well with the overall theme of your yard, you will end up with a yard that looks spectacular. You can then install some lighting along the fence for a nice ambience at night. It is advisable to have a local fencing company come and check out your pool and advise you on the fencing options available, and the best pool fence for your pool. They can provide you with the latest pool fencing options that match the exterior décor of your home, as well as keep your pool safe. You will have so much variety to choose from when you work with a good company, and they will guide you so that you make a good choice.